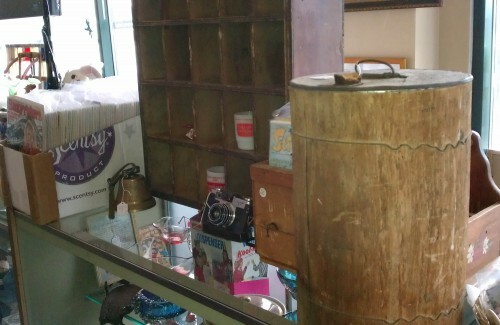 Added a few things to the case at Antiques On Broadway… The wooden mail sorter box from the Fergus Falls, MN, post office ($100). It’s on top of the case, between the box of Easy Rider Magazines and the smaller crate full of assorted vintage magazines. 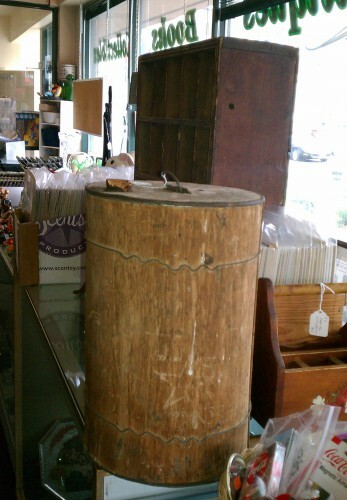 Near it, an antique barrel or keg ($75). 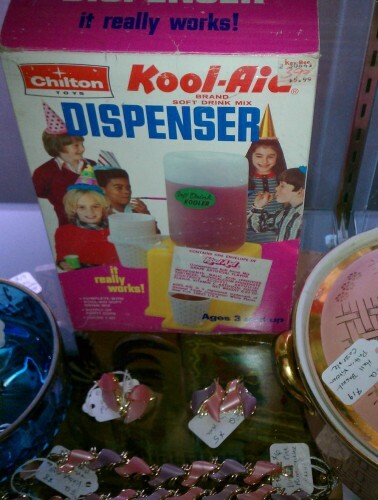 We also added a vintage Kool-Aid dispenser by Chilton ($15); which isn’t very primitive, but we love pop culture collectibles too. Don’t you? One Response to "More Primitive Antiques"